This 1/0 Gauge Amp Kit comes complete with Full Spec wire, hardware, distribution block and fusing. With proper wire and distribution, you get every bit of current you need, and you get it there safely. 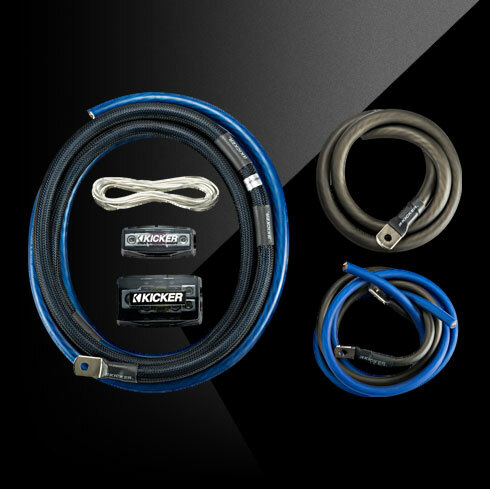 Powerful Full Spec wire delivers current efficiently and safely, while brass hardware distributes it to both of your amplifiers. Get one additional year of amplifier warranty if this it is purchased with a KICKER amp. FHD fuse holder with 100 amp fuses. L=3.5", W=2.15", H=1.33"